secondly I have some a problems with the Aerosoft A318/A319 the wings are missing the engines are missing and the back landing gear is missing it was working fine up until about two weeks ago any suggestion please. Obviously a problem of your FSX configuration. 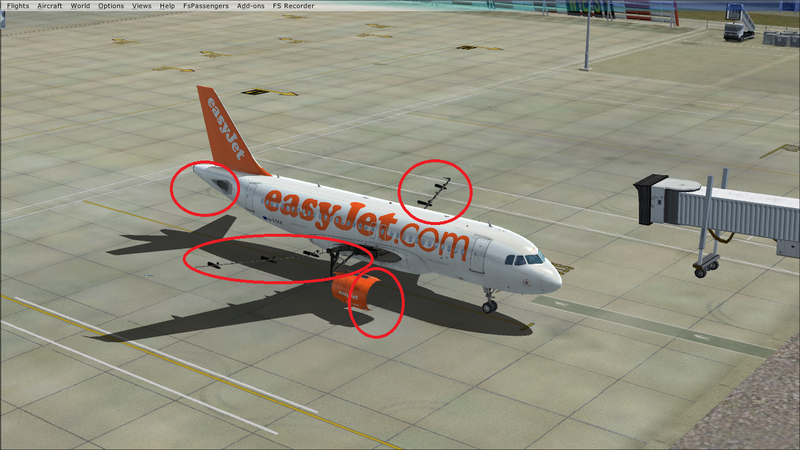 Have you applied the HIGHMEMFIX tweak to your fsx.cfg? From which place did you take the fsx.cfg? What are your hardware specs? Does this also happen with the default livery? And there you have it, your system is below the specifications for the Airbus. The problem with the nearly 4GB RAM is, that this is not exclusively for FSX, but it is also used by Windows and all other programs running at the same time. So FSX will get maybe half of it. That's the reason why also the HIGHMEMFIX doesn't have an impact on your system, as it would only kick in if FSX would have a chance to get all 4GB, which it doesn't have. Furthermore your CPU is below the specification. But that is not the problem here with the outside model of the airbus. That is simply because your system doesn't have enough RAM. Well, at that point you must have installed something on your computer (either within or outside of FSX) that reduces the amount of memory for FSX and the Airbus within it below a minimum needed amount to display everything correctly. But again, you are using the product outside of it's specification. There is nothing we can do here for you. Put more RAM into your machine (e.g. 8 GB as recommended), make sure the HIGHMEMFIX is properly added to theFSX.cfg file, and you will not have any such problems anymore.